Your dealership website is what people see first. Do you think of it that way? Your website is your best salesperson! We work with every customer to ensure their website is designed to leave the best impressoin on their customers and to deliver the message their dealership wants to send. Let us show you what we can do. No Contracts / Just $99/mo! What's a website without leads? Dealer Solutions Websites are beefing up lead generation now more than ever! Getting leads is easily one of the top, if not the number one, purpose of your business's website. We get that and so we've created easier, more attractive, lead forms for your website! Not only that but now easier for you to track, manage, and export your leads! We've made it easier for you AND your customers. Manage the text that appears on your website through your admin portal. Supports HTML as well! Each website is given an analytics account that allows the owner to track consumer data, keywords, and traffic sources. 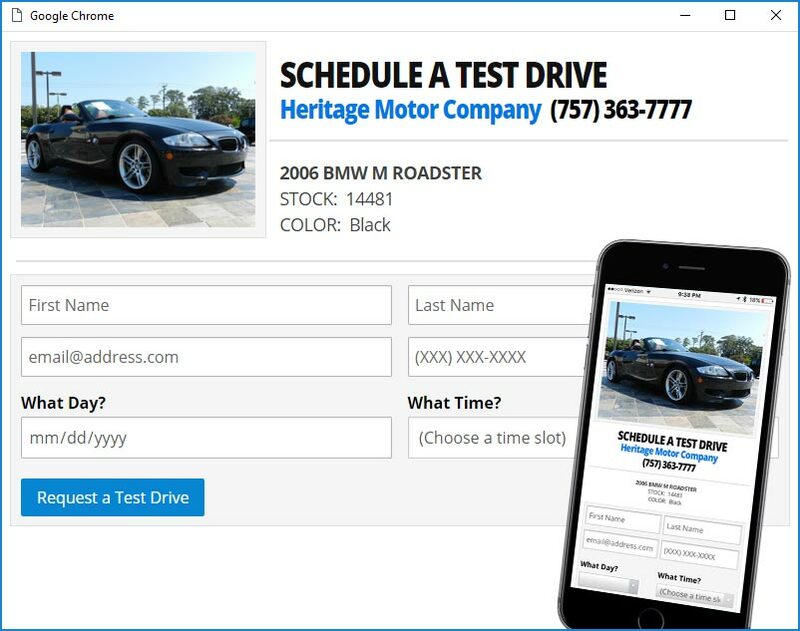 Display a group of vehicles you want to feature on the Home page and Specials page of your site. Draw extra attention to your inventory! Interactive Google map embedded on your site for easy directions! No matter what device you use to view your website it should look good and be easy to navigate. With a Dealer Solutions repsonsive website those are the two main ingredients! And the best part is there is no extra charge or setup fee to make your website responsive! The answer is simple; Everyone is shopping from their phones now. With so much website traffic by way of smartphones we realized it was a necessity to give you the best we have to offer and to help your business be successful.